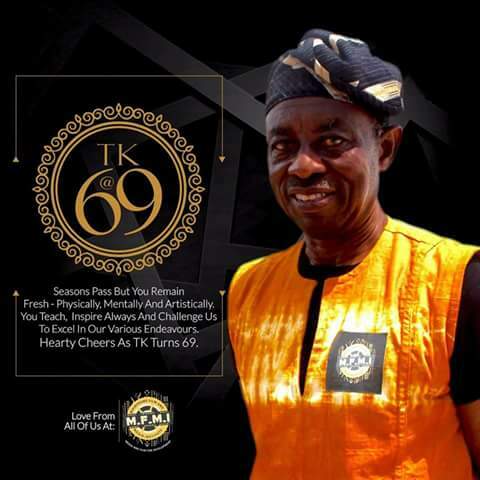 Tunde Kelani was born on the 26th February, 1948.
education at Abeokuta grammar school, Idi Aba. environments and Yoruba world view in arts and culture. After he finished his Secondary School, In 1968/69, Tunde Kelani returned to Lagos State to become an apprentice photographer at the Studio of Oloye Dotun Okubanjo at Broad Street, Lagos. Okubanjo became Pioneer President of Association of Advertising Agencies of Nigeria, Formally Association of Advertising Practitioners of Nigeria in 1973. Reuters correspondent, and in Nigerian TV in 1970. 1939 novel by Joyce Cary . worked on most feature films produced as a cinematographer. Taxi Driver ; Iwa and Fopomoyo . Narrow Path, Arugba and Maami.